If you or your near and dear is facing trouble regarding career, health, education, litigation, marriage, child birth, travel etc. fill in the following detail so that we may be able to advise you the remedy required to ward of evils so that success is achieved. 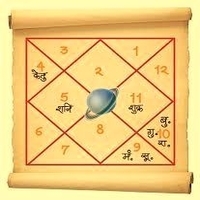 Vedicgrace Provides best astrology services in India and outside. “Hello people! I am Kanak from Surat, Gujarat India. As you all must be aware of that Gujarat being a hub of export. I was one immensely successful export business owner and hold an empire before falling down as a victim in some terrible problems mentioned below. I was a well settled and my business was going smooth .I was a very happy man in regards with Money and mental peace. But about two years ago, I had succumbed to sudden loss in my business with no actual main reasons. And then I had to see my business slacking since then. To balance this major setback I had to mortgage even my house. I lost mental peace too. 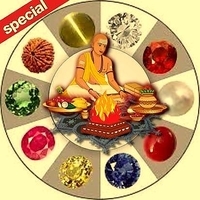 At that point of time I had heard about Astrologer Vinayak Bhatt and his VedicGrace Foundation their business Astrology services .I had deep voice from my heart to consult him immediately as I had no other way out. After consultation, He advised some astrology based measures for sorting things. His Astrological solutions with respect to financial and corporate astrology which actually helped me out. I must admit those solutions and remedies were really amazing and have tremendously worked to rehabilitate me. As soon as I received my solutions from him I had started to be benefited both financially and commercially. My mental peace was restored fast. His astrological solutions has helped me in boosting my business profitability. Today, I am here to give my testimonial, that I regained the lost position in my business and metal peace .I am so much grateful to VedicGrace Foundation. I and my family are sincerely thankful to Vinayak Bhatt ji for changing our lives from withering to blossoming stage. Consulted astrologer Vinayak Bhatt, thanks for suggesting me effective remedies and to the point predictions.